Most of us has been invited at least once to complete some sort of a pre-employment test as part of a recruitment and selection process. One of the most frequently used assessments by employers is Cognitive Ability tests (usually known as Intelligence Quotient (IQ) tests or general ability (g) assessments) given it is known to effect and predict employee performance. But what is Cognitive Ability? You need to know that companies put huge investments (i.e. money, time, and resources) behind tools that can ensure selecting the best talents in the market, including assessments especially with more studies showing how job-relevant talent assessment results in significant performance increase, higher productivity, cost savings, and decrease turn over (SHRM, 2017). 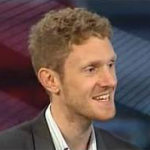 It worth noting that, companies usually use assessments that are Valid (Can predict job performance), Reliable (Have results that are consistent over time), Non-discriminatory (Minority groups score similar to other groups), and that are formatted in a way that will produce a favourable Candidate Reaction. Over a century of research established that cognitive ability is a strong predictor of job performance, and though this stood true across various types and levels of tasks and jobs, you are more likely to be asked to complete a Cognitive Ability test if the role you are applying requires completing complex tasks because the validity of cognitive ability tests increases with the increase in job/task complexity. He added that “the exact size of the relationship will be a function of […] the degree to which the job requires information processing and verbal cognitive skills”. Accordingly, in jobs like engineering, medical doctors, attorneys, and pilots, the relationships between Cognitive Ability scores and overall job performance are found to be the strongest. 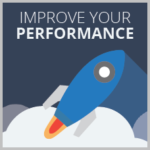 Besides the overall job performance, employers usually interested to learn how you will perform on specific technical tasks, usually referred to as Task performance, which was also proven to be influenced by how strong your intellectual capabilities are. Additionally, If you scored high on Cognitive Ability tests, you would probably be more effective as a leader (Judge, Colbert, & Ilies, 2004), more creative and innovative (Kuncel et al., 2004), less likely to leave the company (Maltarich, Nyberg, and Reilly, 2010), and will demonstrate a higher levels of extrinsic career success (receive more pay over time, and get more frequent promotions) as concluded by Ng, Eby, Sorensen, and Feldman in a research they conducted in 2005. As you saw, given their strong performance prediction (and relatively low cost to organizations), it is not surprising to see companies asking you to complete Cognitive Ability Assessments as part of their recruitment and selection programs. These tests of intelligence or cognitive ability are developed to formally study – under predefined conditions – how well you can adapt, adjust to, and learn from a specific situation. Those tests are part of what is referred to as “psychometric assessments” which are assessments that are used for measuring the mental aspects; where the word ‘metric’ means measure and the word ‘psycho’ means mental. As we have discussed in other articles, there is a wide array of psychometric assessments that can be used to measure almost every single angle of an individual’s mental or emotional composition, including personality, attitude, and intelligence. However, and despite their variation, most of those tests can be categorized under two major categories, which are frequently used together to provide employers a holistic view about your fit as a potential employee; 1- Tests of typical performance (e.g. personality questionnaires which uncover details about your personality and preferences), and 2- Tests of maximum performance and potential (ability and aptitude tests). Without going into much technical details here, the word ‘aptitude’ is often misinterpreted to reflect ability or achievement, and in the context of psychometric assessment, aptitude may be regarded as just another way of referring to specific ability. Achievement: What you have accomplished in the past. Ability: What you are capable to demonstrate in the present. Aptitude: How quickly or easily you will be able to learn in the future. In this article, we will be covering cognitive ability (intelligence) assessments (both general ability and aptitude) and will provide you some examples of the types of questions you could come across if you are to take any of those tests. The theory of General Ability/Intelligence (or g) was introduced in 1904 by the English psychologist Charles Spearman, who concluded that general ability (g) is the single common measure to predict successful performance on a wide range of tasks, and though people could and usually do shine in certain/specific areas, he argued that there is indeed a broad mental capability, and that people who perform well in one area (e.g. verbal abilities), would probably perform successfully on other tests. The most popular cognitive ability assessment that is built on the General Ability theory and has been in use for years now is the Intelligence Quotient (IQ) test. The General Ability theory is often challenged however by those who argue that the concept of limiting mental abilities to a single overall intelligence is way too simplistic. Additionally, there has been a growing body of research suggesting that mental ability is not just determined by one’s DNA, but it is also influenced by social factors like educational background and socioeconomic levels. These led to the emergence of the concept of multiple intelligence (MI) which promotes the idea that individuals have multiple intelligences, and by adopting a definition of cognitive abilities that is inclusive of different types of intelligences, one will be able to identify, appreciate, and nurture more of her/his strengths. This concept of Multiple Intelligences (MI) has been first introduced by Professor Howard Gardner of Harvard, who defined intelligence as “the potential ability to process a certain sort of information”. Verbal (linguistic): lexical skills, formal speech, verbal argument, and creative writing. Body (kinesthetic/movement): body language, physical gestures, creative dance, physical exercise, drama. Musical (rhythmic): music performance, singing, musical composition, and rhythmic patterns. Logic (mathematic): numerical aptitude, problem solving, and deciphering codes, abstract symbols, and formulae. Visual (spatial): Developing and recognising patterns and designs, painting, drawing, active, imagination, sculpture, and colour schemes. Interpersonal (relationships with others): The person-to-person communication, empathy practices, group projects, collaboration skills, receiving and giving feedback. Intrapersonal (self-understanding and insight): thinking strategies, emotional processing, knowing yourself, higher order reasoning, focusing and concentration. Also, Creativity and Memory are sometimes added as separate intelligences, making up the eighth and the ninth intelligence categories under the Gardner model. To test the multiple intelligences identified by Gardner, specific aptitude tests are usually administered, and we will cover some of those that are frequently used in the workplace context like verbal intelligence, numerical intelligence, technical aptitude and logical reasoning. Intelligence quotient (IQ) is an age-specific test of intelligence level and is calculated by dividing one’s mental age by their age and multiply it by 100. The word ‘quotient’ means the output of dividing one quantity by another. As we mentioned, the IQ tests are based on the theory that you have one single intelligence (or ability), which is referred to the General Ability of (g). This general ability defines how effectively we manage the problems and challenges as they arise, and how we mentally leverage our previous experiences. These mental powers differ from one individual to another, something that intelligence (IQ tests) aim at measuring. IQ tests is comprised of a series of questions and challenges, each of those was standardised with a very large sample with varied demographics, making it a strong predictive for mental abilities across all ages, ethnicities, genders, and cultural backgrounds, and in contrast to specific proficiencies, IQ tests are standard examinations crafted to measure one’s intelligence as a distinct construct from their academic or job achievements. Though one could find many different types of IQ tests; a standard test would be comprised of three parts, each testing a different cognitive ability; verbal reasoning, numerical ability and diagrammatic (or spatial) reasoning. For an IQ test to be able to confidently measure an individual’s overall general ability or intelligence, the questions are usually multi-disciplinary and have a mix of the verbal, mathematical and spatial challenges, as well as extra questions that evaluate how logical one’s thought processes are along with whether they have a level of lateral thinking or not. Your IQ scores are usually stable over time and it is widely accepted that it has to do with someone’s DNA, and hence the difficulty to significantly improve your IQ over time, having said that one could – contrary to what a lot of people say – through continuous practicing improve their test performance. Practicing IQ tests really does work, and if during an assessment you are asked to complete an IQ assessment and have done similar one before, you will very likely to score better in some areas. Of course, by practicing you will not all of a sudden score much higher than your average score, however, the result depends on various factors besides your intelligence levels like the time you took to perform the assignments and on how nervous you are while completing the test. It is exactly these factors that you can improve upon by practicing IQ tests in advance. You will know what to expect, and because of that will be less nervous. In addition, you will be able to complete the assignments a little bit faster because you recognise the question types. The white dot moves two places anti-clockwise at each stage and the black dot moves one place clockwise at each stage. After how many stages will they be together in the same corner? Which figure should replace the question marks? As we have concluded so far, though there could be various definitions for intelligence, there is, nonetheless, at least one particularly apposite foundation; the capacity to learn and understand. As we saw in the previous section, scores from standardized intelligence tests (IQ scores) can be used to determine one’s intelligence level, however it became increasingly accepted that IQ assessments don’t always tell the complete story and may be only providing a snapshot of your cognitive abilities. Accordingly, separate tests for verbal, math, logic, and recently creativity/innovation, and interpersonal relations (also known as emotional intelligence) are being used frequently by organizations, because clearly, the more different types of areas that are tested and examined, the more accurately the intelligence level of the individual can be assessed. Cognitive abilities: verbal, numerical, abstract, perceptual, spatial, mechanical. Psychomotor abilities: eye and hand coordination. Sensory abilities: hearing, touch, sense, smell, sight. Physical abilities: stamina and strength. You need to always remember that, for most of the aptitude tests you will be asked to complete there is usually a predetermined time limit which must be strictly followed in order for the test to be valid, and there is usually an average score which has been standardised in comparison with a group of people with similar demographics who have taken the same test. Top 10% of population: Extremely high levels of aptitude. Top one-third (excluding top 10%) – High levels of aptitude. Lowest one-third – Below average degree of aptitude. Lowest 10% – Minimal demonstration of this aptitude. Let’s now explore the different aptitude test that can provide some insights on individual’s specific intelligence or can be used collectively to provide an indication to your future employer about your general ability. At the beginning of the 20th century, psychologists concluded that there was a direct correlation between vocabulary size and strength, and overall life-success. The richer one’s vocabulary is, as well as their ability to cleverly use it the various situations, the more successful and confident they will be in their life in general – in their studies, in their work, and in their social and personal life (Buzan, 2002). Words have incredible power, the more you can leverage the strength of words the more you are able to convince, motivate, captivate, and influence those who are around you, and so, it is obvious why companies would want to include verbal intelligence assessments as a predictor of future success as part of their selection and development tools. As we mentioned, it is the richness of the vocabulary as well as how smart an individual is in utilising this vocabulary to convey a message, and accordingly, verbal assessments usually include various types of questions to measure this. Questions include synonyms, antonyms, analogy, and verbal comprehension. A synonym is a word having the identical, or equivalent meaning to another word of the same language. Examples of synonyms are: improve and enhance, relaxed and calm, inquire and ask. On the contrary, an antonym is a word with the opposite meaning to another word of the same language. Examples of antonyms are loud and quiet, tall and short, fast and slow. In these assessments, your knowledge of language and your capacity to quickly identify words that have opposite meanings are put to test. In each of the Antonym test questions below, a candidate needs to choose just one word from the five words inside the brackets that is most opposite in meaning to the word in capitals. Comprehension is another way to assess verbal capabilities. A question on comprehension can come in the below format in which a candidate is asked to put back a removed word from a paragraph. In this example, the paragraph has 15 different words removed which have been all listed in a random fashion underneath it, and to test the verbal skills and comprehension abilities, the candidate must restore the 15 words correctly. Just as the __________________ (1) __________________ (2) was half-way through __________________ (3) his most __________________ (4) and difficult __________________ (5), the __________________ (6) thing that could have happened did, and all hell was let loose as Ben __________________ (7) a cat through the dining room_______________ (8). Apart from almost barking the house down and __________________ (9) drowning out the second half of the question, Ben __________________ (10) across the dining room in a __________________ (11) blur before throwing __________________ (12) against the __________________ (13) door with a ______________ (14) __________________ (15). Window, question, himself, sickening, hapless, involved, worst, saw, shot, crash, asking, interviewer, totally, brown, kitchen. Everyone needs some level of numerical capability in their lives, whether it is to calculate their weekly shopping bill or to plan how to best spend their monthly salary. Numerical ability tests are developed in a way to evaluate how good you can reason with numbers. Questions within these assessments can combine both straightforward mathematical calculation, or challenges that require demonstration of a logical thinking methodology. A subset of the questions could be used to assess numerical problem solving, and while the actual mathematical calculation involved could be quite simple; however, the candidates are primarily assessed on their capacity to use their basic knowledge of numbers to swiftly and accurately solve the problem in a structured way. Companies prefer numerical assessments because numbers are international, and hence there is no fear of any adverse impact due to cultural biases where someone would advantage if he/she is coming from a specific culture are diminished, and hence one would find them widely used either separately or integrated in IQ tests. Individual tests include number sequences and mental arithmetic test which both aim at measuring an individual’s aptitude at mathematical calculation, recognising patterns, and the ability to reason with numbers. In a numerical sequence assessment, a candidate is required to spot a pattern that is happening in the sequence. The numbers in the sequence may be increasing, declining, or in some occasions there might be a sequence/pattern of increasing and declining that the candidate is expected to identify and solve the question accordingly. By training such number series you will quicker understand the logic behind the series, because a number of these series are used quite often and because you train yourself how to read these series. 100, 96.75, 93.5, 90.25, 87, ? One could argue that mental arithmetic is not taught in today’s education system to the same degree it was several years ago, when kids would know the multiplication table so well that they could answer questions like how much is 9 multiplied by 8 or 6 multiplied by 7 without even thinking, which is understood given the prevalent usage of calculators, computers, iPads; having said that, mental arithmetic capabilities is an invaluable talent to have at one’s disposal and it is also a great way of exercising the brain. The following are examples from a mental arithmetic speed test, during which the test taker is required to solve mathematical problems of increasing difficulty as the test progresses. They should be able solve those problems swiftly and calmly while trying to figure out the best and effective way of tackling the questions. Multiply 8 by 15 and divide the result by 6. If Alice gave Susan $6.00 the money they each would have would be in the ratio of 2:1; however, if Susan gave Alice $1.00 the ratio would be 1:3 instead. How much money did Alice and Susan have each before they exchange any money? With information technology jobs becoming more and more needed in today’s world; evaluating technical aptitude is becoming pressingly important, given that people with a stronger scientific and technical aptitude are predicted to have the higher potential to master technology compared to those with a lower technical aptitude. Selecting candidates who have demonstrated a high degree of technical aptitude in technology-reliant occupations is, therefore, significantly more cost-effective, in terms of both learning curve and overall performance. And as new technologies continue to arise and progress, it is key to employers that they have the objective ways at their disposal to recognise candidates who are capable to learn these new technologies quickly and are able to apply them in their jobs to solve complex issues. The following are two examples from a test that was crafted to measure general scientific knowledge, technical aptitude and powers of mechanical reasoning and logic. What is the percentage of the visible figure is shaded? What is the area in Square units for the figure below? ‘Logic’ originally meaning ‘the word’, is now used to refer to ‘thinking’ and ‘reasoning’, with logical individual is the one who has the skills of reasoning, or using reason, in a structured and persuasive manner. Logical reasoning assessments evaluate the degree to which candidates demonstrate analytical thinking and can apply a common-sense reasoning process to solve problems. 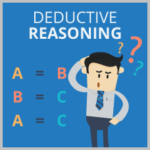 There are 2 type of logical reasoning questions a candidate can come across; pure logic and progressive matrices questions. This assessment is comprised of questions of varying scope and different levels of difficulty. Unlike the technical aptitude tests, the logical reasoning requires no specialised knowledge of mathematics or vocabulary for a candidate to be able to solve the test questions, just the ability to think clearly and analytically. Below is a question from a logical reasoning assessment that evaluates pure logic. What is the number that should replace the question mark? The progressive matrices tests were developed to assess and exercise a candidate’s ability to recognise patterns and designs, and their ability to think in a logical way while staying open to exploring the various potential options that might also lead to the correct answer. 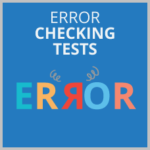 In these tests as you will see in the following examples, candidates are presented with a pattern in an array of squares where one of the squares has been removed and they need to pick the correct missing square from several options. It is therefore important to look at the matrix to learn what pattern is occurring, either by looking across each line and down each column, looking at the array as a whole or looking at the connection between the various squares within the array. In general, these tests begin with simple patterns (2X2 arrays) and start to increase in difficulty as the candidate progress with their test (4X4 arrays). Again, it is key while taking these tests to keep an open mind to be able to think of all potential pattern and sequence options. The below are 2 questions of a 2X2 and 4X4 arrays. Which is the missing square? Technology changed the landscape of most industries and disciplines, and talent assessment is no different. 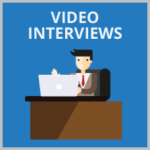 Employers now will ask you to complete most assessments online, and through Computer Adaptive Testing (CAT) technologies, you will be presented with a dynamic choice of questions from a large set of items based on how you are answering, for example if you responded correctly to the first question, the next question will be more challenging, yet if you didn’t answer right, the next item will be less difficult. It is also very common now to be asked to complete a Gamified version of your assessments, something that is becoming more and more popular. 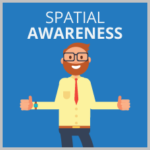 To get a sense of how gamified assessments work you might want to download the Pymetrics app and play few of their games. 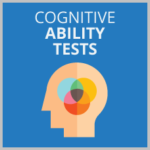 Practicing Cognitive Ability assessments is something you should always consider. Take as many tests as you can, try to figure out which components are most challenging to you and practice those components more than the others. It is not just about solving the problems, but it is more about finding the actual reasoning behind the solutions, and accordingly, it is not about knowing a lot of assignments and solutions by heart, but about understanding the questions so you can more easily answer similar questions in the future. Campbell, J. P. (1990a). Modeling the performance prediction problem in industrial and organizational psychology. In M. D. Dunnette & L. M. Hough (Eds. ), Handbook of industrial and organizational psychology (Vol. 1, pp. 687-732). Palo Alto, CA: Consulting Psychologists Press. Gottfredson, L. S. (1997a). Mainstream science on intelligence: An editorial with 52 signatories, history and bibliography. Intelligence, 24, 13-23. Judge, T. A., Colbert, A. E., & Ilies, R. (2004). Intelligence and leadership: A quantitative review and test of theoretical propositions. Journal of Applied Psychology, 89, 542-552. Maltarich, M. A., Nyberg, A. J., & Reilly, G. (2010). A conceptual and empirical analysis of the cognitive ability–voluntary turnover relationship. Journal of Applied Psychology, 95, 1058-1070. Ng, T. W. H., Eby, L. T., Sorensen, K. L., & Feldman, D. C. (2005). Predictors of objective and subjective career success. A meta-analysis. Personnel Psychology, 58, 367-408.